Almost three centuries have passed since Pierre Jaquet-Droz held the royal courts of Europe spellbound with his trio of renowned and strikingly realistic automata – The Writer, The Draughtsman and The Musician. The most astonishing of these was The Writer, because, even then, it could be programmed to produce a given sentence in a flowing script. This truly legendary automaton is considered the precursor of the computer and has been the subject of numerous scientific studies, as well as a source of inspiration for Martin Scorsese in the making of the movie "Hugo." The desire to keep such unique expertise alive has never left the Jaquet Droz artisans. The incredible Time Writing Machine, shown to the public in 2009, is proof of this, as are more recently, in miniature, the naturalistic animations featured on the dials of two exceptional watches – The Bird Repeater and The Charming Bird. 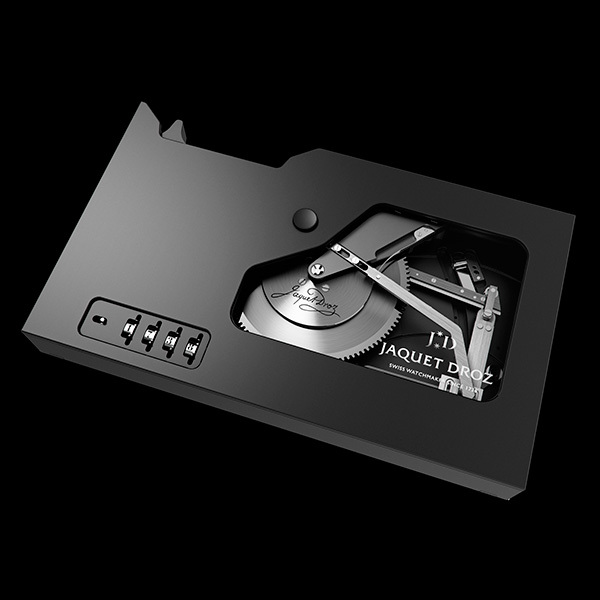 This year, Jaquet Droz has gone a step further with "The Signing Machine," an amazing automaton that is profound for its time. A true marvel, it uses historic cam technology but in miniature size, while its dimensions are inspired by the most emblematic object of the new millennium – the smartphone. 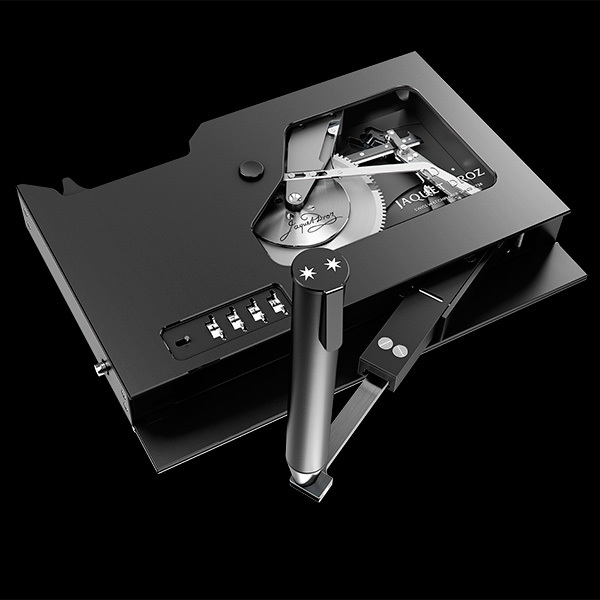 The Signing Machine has a 4-digit security code and can be manually wound with a mechanism activated by a lever positioned on the side of the gray and black case. This entirely mechanical, technological gem, with its contemporary, uncluttered design, is manufactured as a bespoke piece for its owner. Simply pressing twice with your finger releases a hinged arm and pen. By means of highly complex movements, driven by a set of cams that are handmade in order to produce a fluid, natural script, The Signing Machine duplicates its owner’s signature. This operation can be admired through the transparent window that reveals the internal workings. In an age dominated by digital technology, it is a testament to the unique and magical beauty of the exceptional mechanisms bearing the Jaquet Droz hallmark.